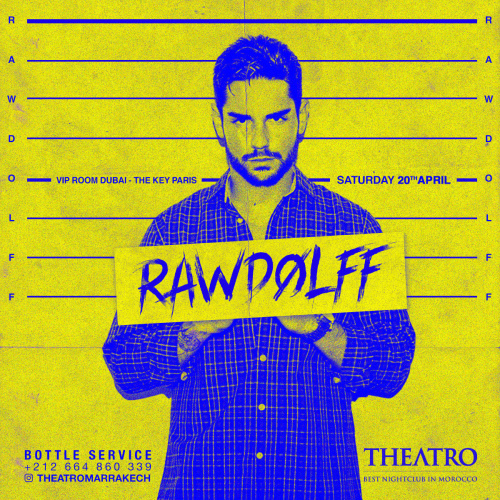 Resident of the More Life Party at The Key Paris, Rawdolff offers sets between House, Hip-Hop and Us Rap. His talent has allowed him to play alongside Lil Wayne, Flo Rida, A$AP Rocky, The Game, Rick Ross in clubs as famous as Arc Paris or VIP Room Dubai. Catch him on Saturday 20th April!